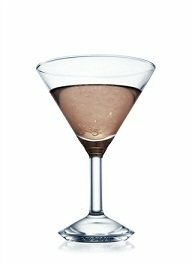 The Chocolate Martini Cocktail is a Vodka, Bailey's Irish Cream, Creme de Cacao cocktail served in a chilled cocktail glass. There are many different versions of this cocktail. Scroll below for more ideas. Mix in a shaker with ice and strain into a cocktail glass. Add Hershey's kiss or Godiva choclate for a garnish. Pour all ingredients except Kahlua into shaker and shake well. Drop the Kahlua in the center of the drink.